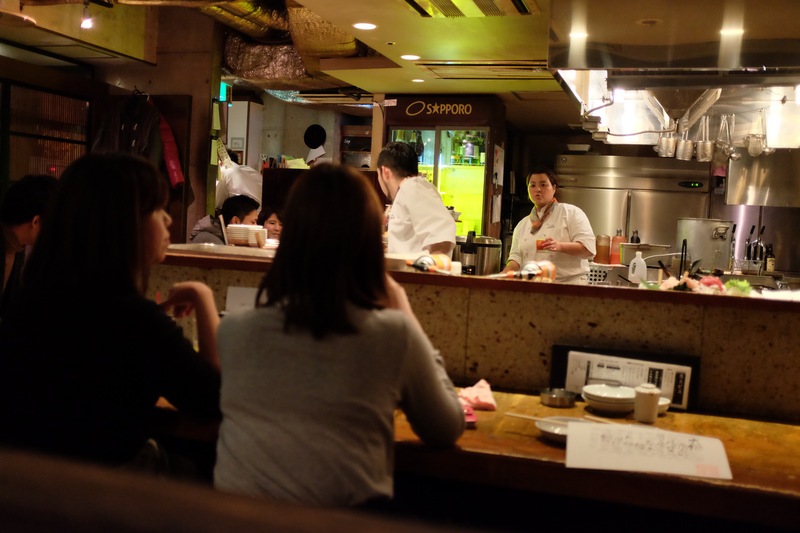 Of the thousands of izakayas in Tokyo, 35 Steps Bistro stands out with its unusual name, coined after the 35 steps one has to take down to the basement of Shibuya City Hotel where it’s located. 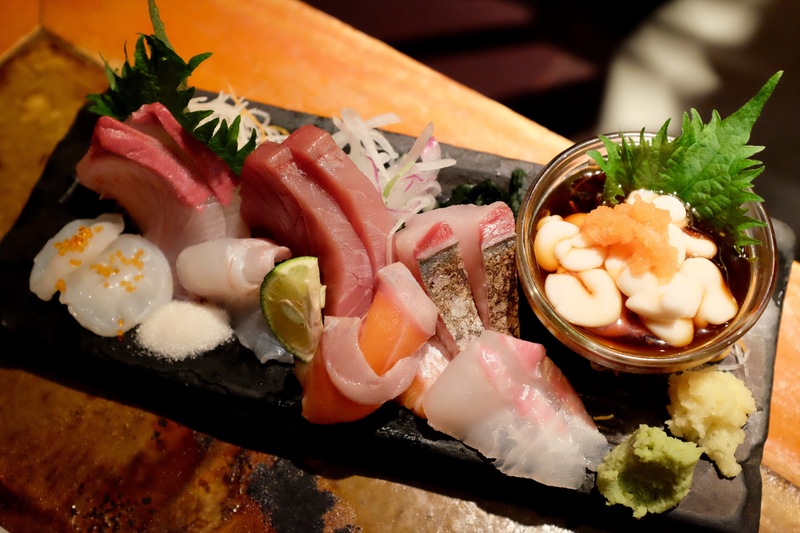 If you haven’t already heard of this highly popular izakaya, all you need to know is that it lives up to the hype as one of Shibuya’s best. 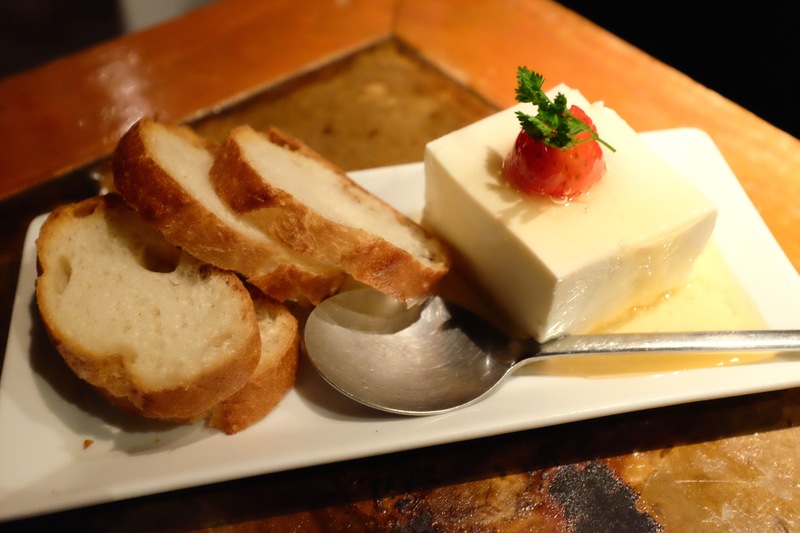 The menu is modest but far from boring – the people behind 35 Steps Bistro put some clever twists on the typical izakaya fare, something best represented by their tofu cheese dish that deliciously blurs the line between main and dessert (you can have it both ways). 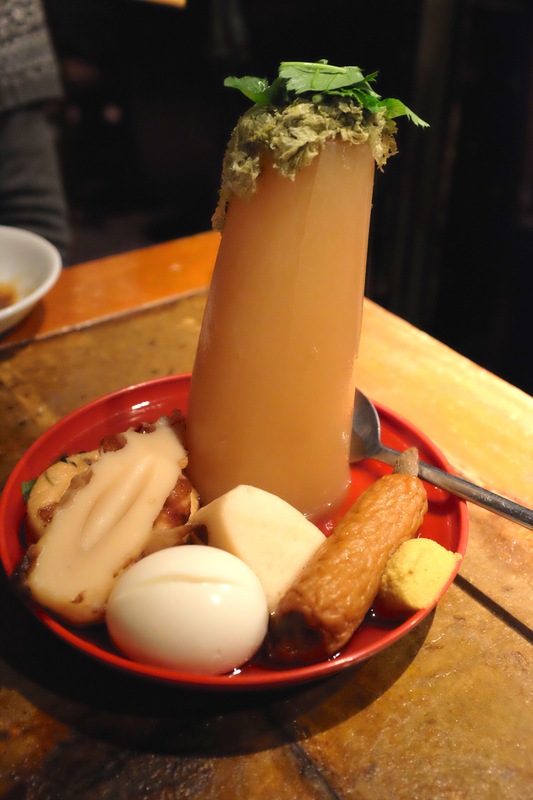 Their star seller is a marinated mackerel that’s perfectly flame seared in front of you by an enthusiastic server, closely followed by the daikon oden, which is, by my estimates, the size of Singapore. Other tasty things to try are the chilli mayo fried shrimp and fantastically fresh sashimi platter that’s sourced from Tsukiji every day. 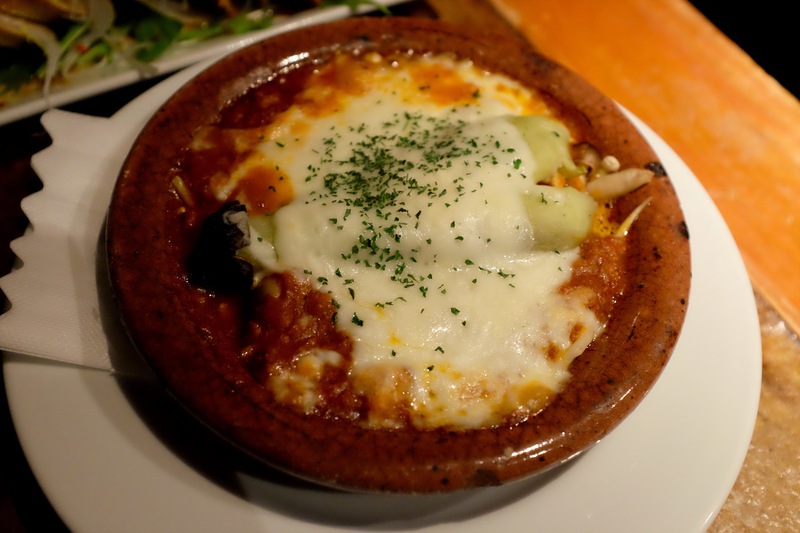 A good part of the menu is seasonal, so there’s always something new and interesting to try. 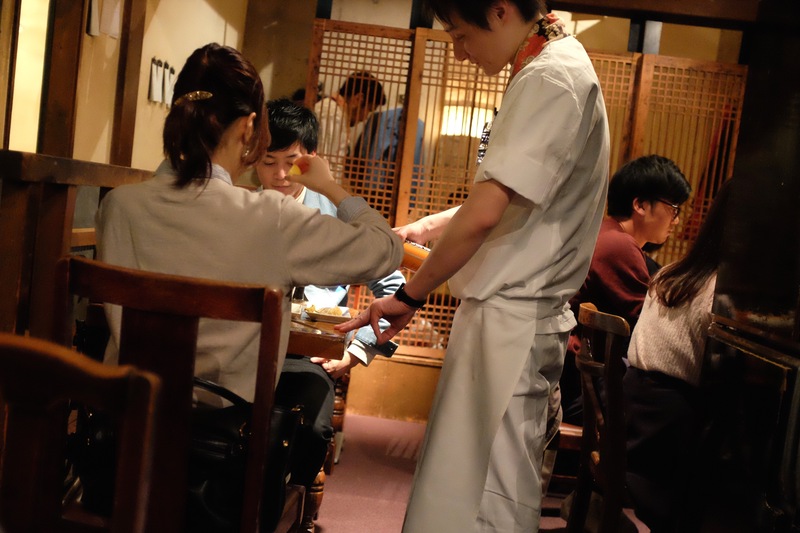 Prices are fair and the service brisk and friendly, although it may seem a little too casual if you’re used to the prim and proper Japanese service at most other establishments. 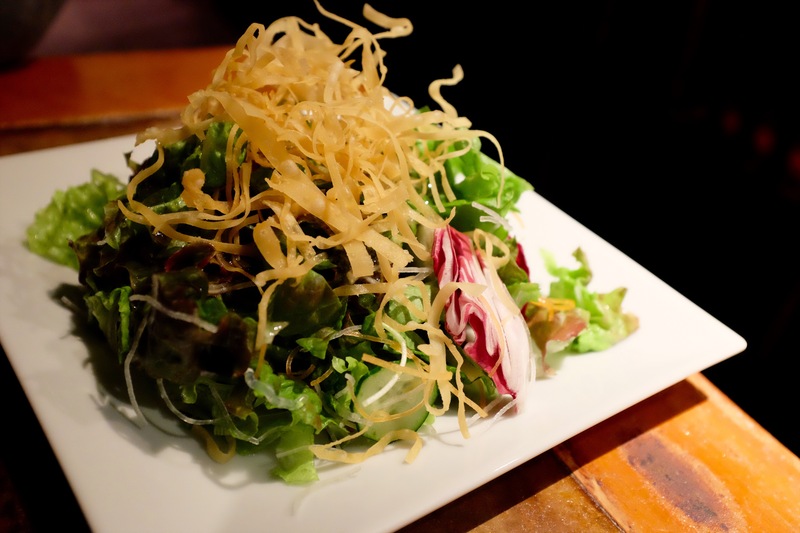 As with any izakaya, there’s a small table charge per person of about 300-500 Yen, but you get a free crispy salad for it that’s actually really good. 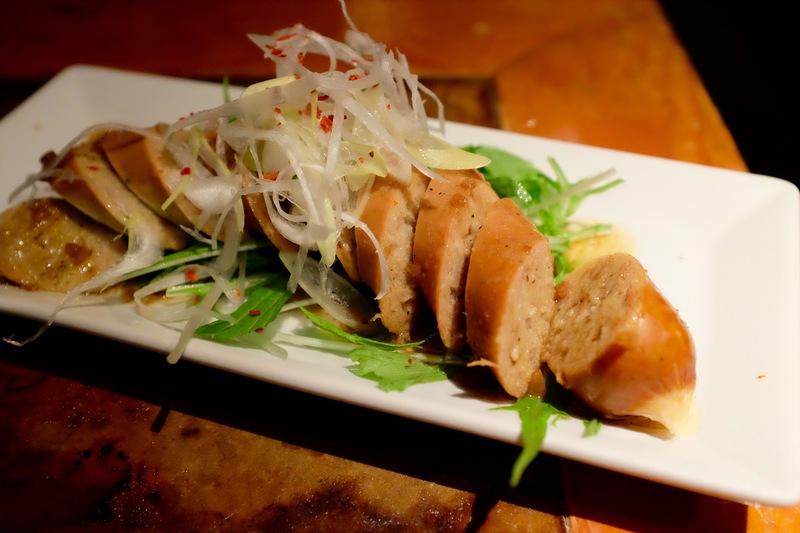 35 Steps Bistro is definitely in our top 5 list of best izakayas in Tokyo – highly recommended. 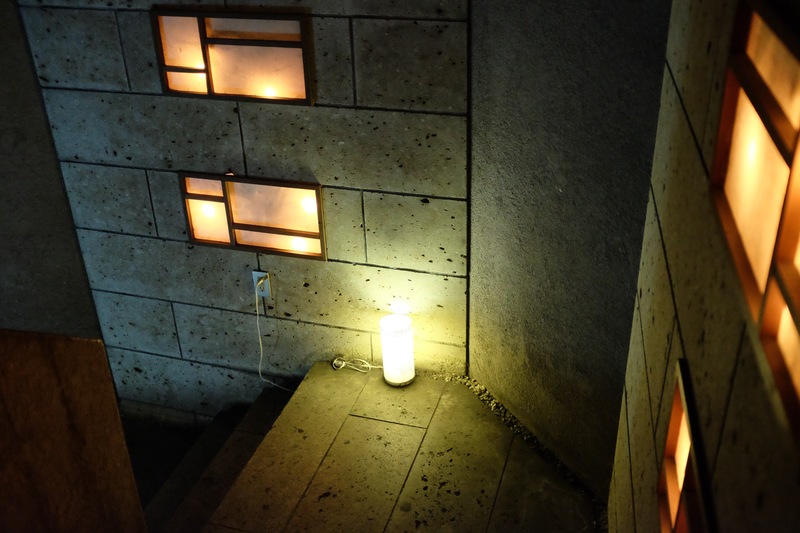 If you’re not familiar with Shibuya this place might be hard to find – your only hint is a small kanji lantern sign on the floor next to a narrow staircase. Look for it immediately to the left of the Shibuya City Hotel’s side entrance. Reservations highly recommended to avoid disappointment – they have English speaking staff so call away. Load up this coupon or take a screenshot and show it to your server upon ordering for ¥1,000 off your bill for 2 people or 2,000 Yen off for a group of 4.